Ida Thai Cuisine is a refreshing little restaurant that’s found just inland of the Carolina Beach shoreline, and which is renowned for a heavy collection of authentic Thai dishes. 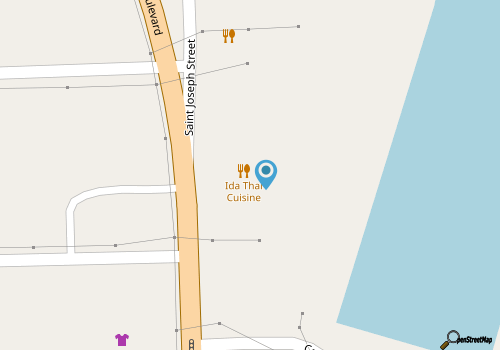 Located in a vibrant green restaurant, and therefore hard to miss, Ida Thai Cuisine is a fine destination for an easy lunch or dinner, or for a take-out feast to enjoy at the beach vacation rental. The menu is as vast as it is colorful, with a treasure trove of Thai specialties that includes a big selection of lunch fare, appetizers, Thai salads and soups, entrees, fried rice and noodles, curries, and regular specials. Hungry patrons will want to start off with one of the appetizers, like the spring rolls, the Satay (chicken strips marinated in coconut milk) or the fried calamari, while new patrons will want to begin perusing the Chef’s Recommendations menu. In this portion of the lengthy menu, diners will find unique specialties like Thai Dumplings with minced pork, minced shrimp, minced yambean, and shitake mushrooms wrapped and steamed in wonton skin, and the decadent snow crab fired rice with eggs, peas, carrots, and other veggies. A nice departure from traditional beach fare, Ida Thai Cuisine is bringing global flavors to the Carolina Beach region. Call (910) 458-8136 for current hours.